He Pūkenga Kōrero is the name given to a small Māori health research project funded by the Health Research Council of New Zealand. The 18-month long project was a collaboration between Te Whāriki Takapou, Te Rākei Whakaehu, and Te Ahurei a Rangatahi and concludes in June 2017. 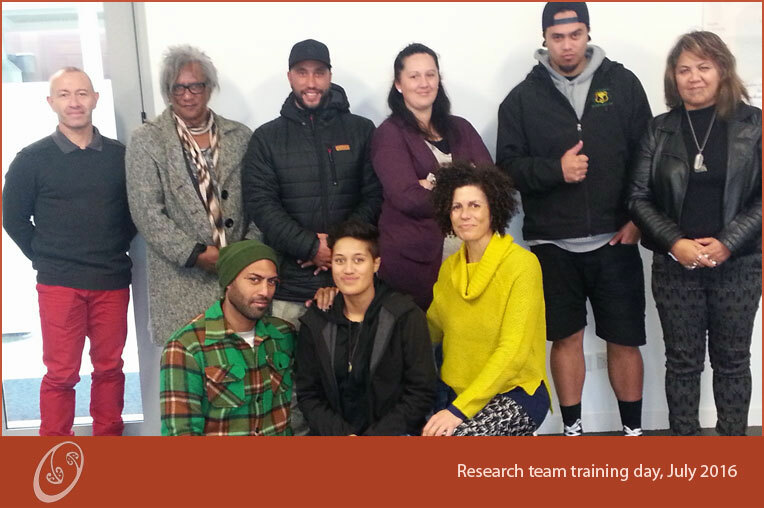 The aim of the project was to generate an ‘evidence base’ to help STI testing and treatment services achieve sooner, better access for rangatahi to their services. The proviso was that any changes to STI services would need to be funded from within existing budgets. Research funding limitations meant that access to HIV testing and treatment services in the Waikato was left out of the study. So too were GP medical centres, arguably the biggest providers of STI testing and treatment services. The focus of the project were sexually active rangatahi aged 16-24 years, not in education, employment, or training (rangatahi NEET) and takataapui (Māori GLBTQI). Preliminary consultation identified STI service providers as experiencing difficulty engaging with these rangatahi. Drawing upon relevant policy, research, statistics, and interviews with two STI service providers and rangatahi NEET and takataapui from Hamilton, the research found that STI service providers1 can indeed achieve sooner, better STI testing and treatment for these rangatahi . However, STI service providers can’t do this on their own. Achieving improvements will require collaborating with funders, PHOs, GP medical centers and local sexual health promotion organisations to prioritise access to free and low-cost STI services for these rangatahi. Evidence also supports STI service providers adopting organisational health literacy approaches that build workforce skills and information resources so that these better match the needs of rangatahi NEET and takataapui. Taken together, we hope that these actions, presented as evidence-based statements, will support sooner, better STI testing and treatment for rangatahi NEET, takataapui, their sexual partners and other young people in the Waikato.